Aosenma CG035 Cheap Drone is a sophisticated yet easy to fly quadcopter. 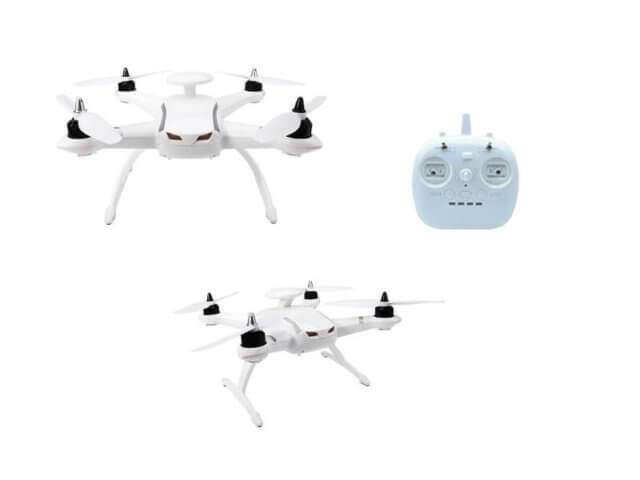 Having a price under 200€, Aosenma CG035 Drone has many flight modes like: Headless mode, One key return, Follow me, GPS mode, Altitude hold and Surrounded mode. If you are a new pilot, with Aosenma CG035 Cheap Quadcopter is best to start with Headless mode. 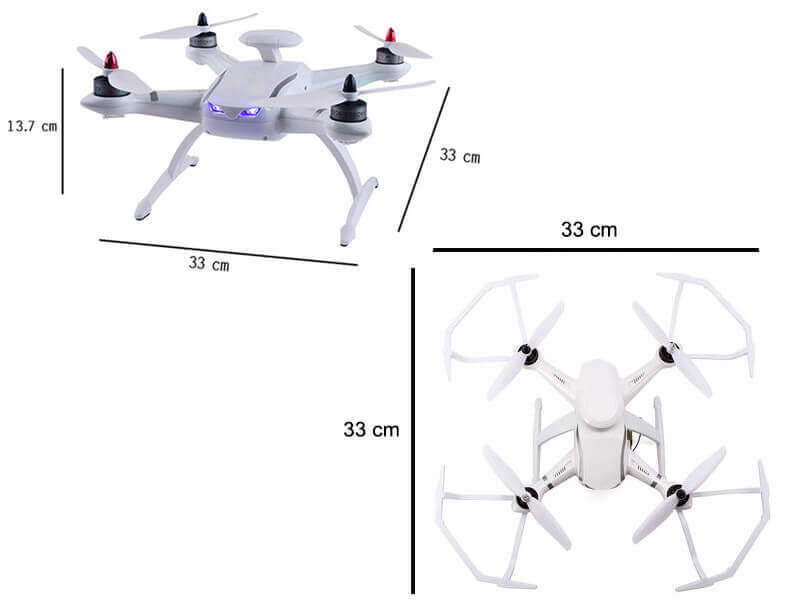 In this mode you can give up worrying about the orientation of the quadcopter. Right before taking off, make sure that its front is your front and you are good to go. One key return mode is another good mode for beginners. This mode is to make the drone go and land where it started. Follow me mode will tell the drone to keep a constant distance to the controller. This mode can be great for filming a moving object. In Surrounded mode, the drone will fly in a circle facing the center and normal mode lets you fly the drone without any assistance. Aosenma CG035 Cheap Quadcopter is rather small. Having a length and width of 33 cm, can be easy packet in a backpack. Since this is a cheap drone, pretty much everything is made out of plastic. Cheap yet durable, in the Aosenma’s package you’ll find blade guards that can be easily mounted right under the engines. This way, you may have a second chance after a crash. The only downside of these guards is that it will add an extra 36g to the weight. The quadcopter is powered by a 74V 3200 mAh li-po battery. For a full recharge it will take up to 3 hours and the flying time is quite good, between 15 and 20 minutes. The remote control will need 4 * AA batteries. Don’t forget to buy them yourself, because they are not included in the drone’s package. Even though there is no camera on Aosenma CG035 Cheap Drone, you can mount one yourself. You can also buy the Aosenma CG035 FPV which is the same quadcopter, but has a gimbal and a camera mounted underneath. The gimbal has 2 micro servos that are used to keep the camera stable. The camera has an independent battery, records in 720p and has a 4GB microSD card. 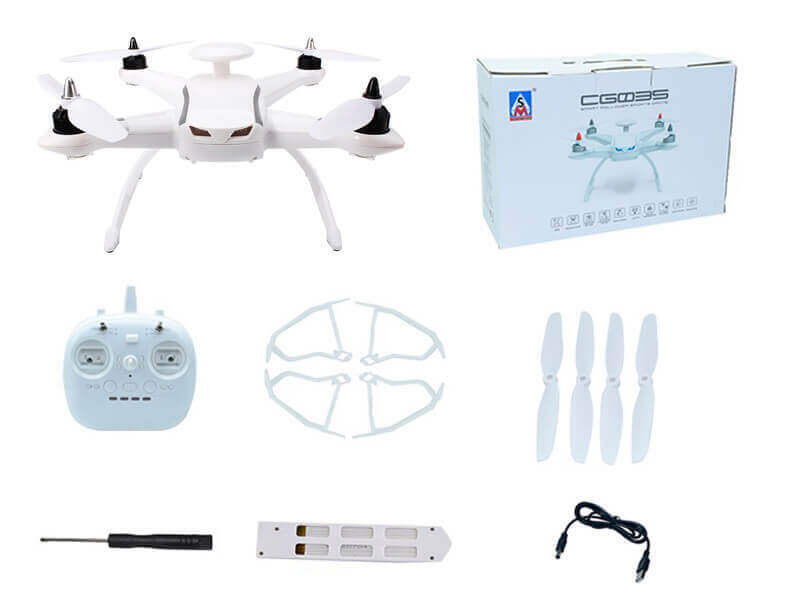 As has been mentioned, the Aosenma CG035 Cheap Quadcopter is a great drone for new pilots that want a sophisticated drone but are not ready to spend a lot of money. Those that are experienced and pretentious may find this drone sluggish and fragile.